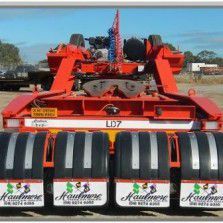 Haulmore Trailers is a privately owned Western Australian company which is involved in transport equipment hire and the design and manufacture of on-road and off-road vehicles. Haulmore provides premium customers with superior quality rentals, backed with extensive product knowledge and experience. Haulmore's upgrading! Located at the same address, feel free to visit our new workshop and office complex. Haul more for less with our fleet of new & used trailers for sale & hire. Haulmore Trailer Sales & Rental is an industry leader in the provision of standard and heavy duty transport vehicles for hire and sale. 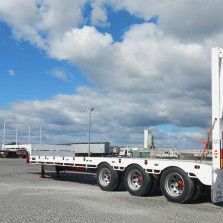 This includes semi-trailers, low loaders, side tippers, water tankers and drop deck trailers. The company is also a licensed motor vehicle dealer for the sale and manufacture of new and used transport equipment, and an authorised repairer and modifier of heavy duty vehicles. Contact us to discuss your transport requirements. If you are a contractor, civil engineer, transport operator or haulage company situated in Australia, talk to use about our transport solutions, designed to save you time, money, maintenance costs and insurance worries. You can achieve all this with short or long term transport equipment hire from WA’s local transport specialists. 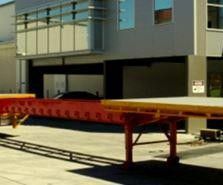 We service the transport requirements of the standard and heavy transport industry Australia-wide. Let us know your requirements and we’ll provide an affordable and practical solution. If you need to move items of any size across the state or country, we have an affordable solution for you. We sell a variety of robust trailers, designed for a range of different requirements. If you are looking to add to your fleet, check out our range of new trailers. 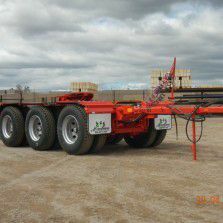 We also sell used semi trailers and trailers, which are in excellent condition. All trailers are serviced and thoroughly tested before we release them. Sometimes you only need a trailer for a short period, maybe an hour or two, or a few days or weeks. 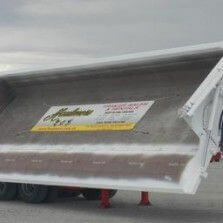 In cases like this, it’s often more efficient and cost-effective to use trailer hire services, rather than purchase one. This means no major capital outlay, and repairs and maintenance can be easily managed by the company. Choose from our selection of more than 100 rental units, including semi-trailers and dollies, low loaders, side tippers, water tankers and drop deck trailers. We are a Western Australian Department of Transport and Motor Vehicle Industry Board accredited modifier and repairer (registered number MRB 378). We specialise in a wide variety of repair work; from minor servicing to complete rebuilds and major insurance repairs. “Whether you require one trailer for one week, or 100 trailers for 100 weeks, we’re here to help,” company principal, Alan Moody. Whatever your transport requirements, we welcome all enquiries about our extensive transport equipment hire fleet; we also assist with costing estimates for contracting projects. Whether you require an easy transport solution or bulk transport equipment, contact us. We provide affordable transport solutions for projects of any size. Alternatively, fill out the online enquiry form.